Ask MusicRadar: what's the best low-powered tube amp head under £300? It's not easy fitting amps into neat little groups. Valve vs solid state, power levels and sound options all matter for different reasons. 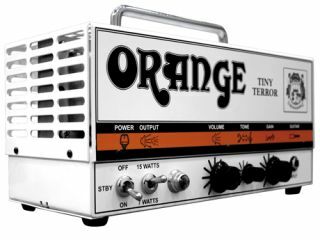 So we're kicking off the guitar amplification section of Ask MusicRadar with: what's the best low-powered tube amp head under £300? Think 'tube': your chosen head must have valves in it (it doesn't have to be all-valve - what constitutes as all-valve is another day's can of worms). By 'low-powered' we're talking 15-watts or under. And it's heads only - no stacks or combos, if you please. Although if your favourite stack costs under £300, we're not going to complain.